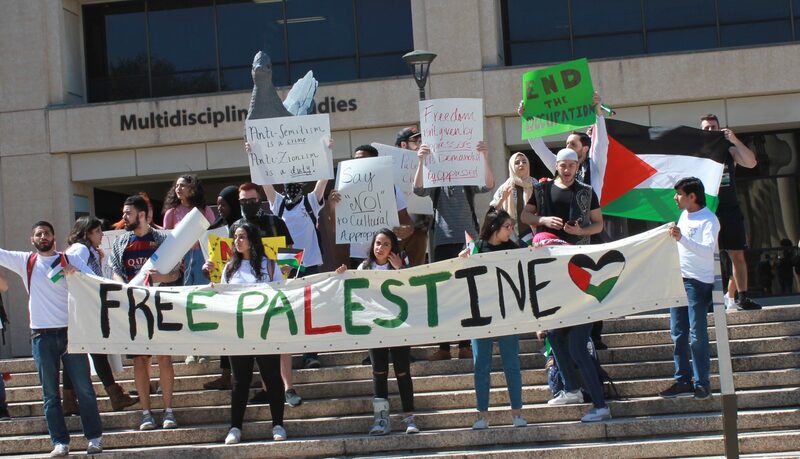 SJP members protest the Israel Block Party in front of the Rowdy Roadrunner statue. Heather Montoya/The Paisano. 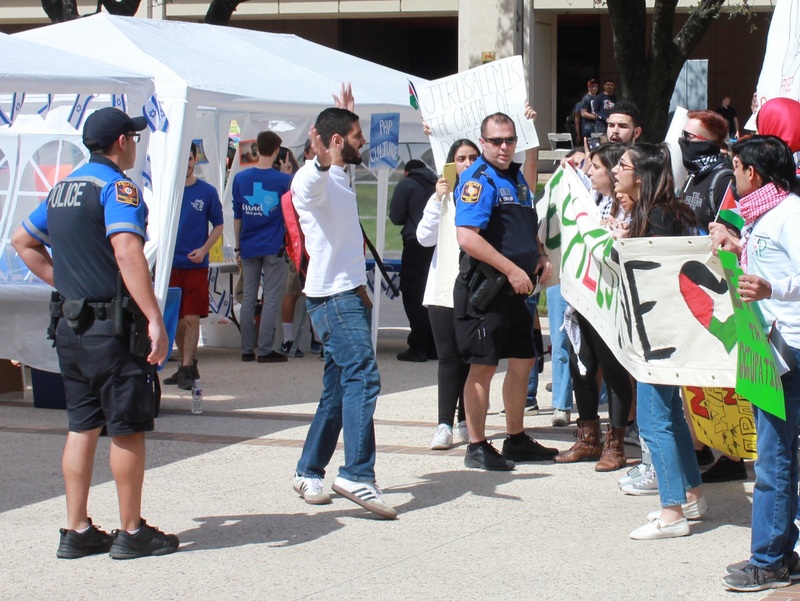 Students for Justice in Palestine (SJP) protested the ‘Israel Block Party’ (IBP) hosted by San Antonio Hillel, a chapter of a national, pro-Israel student group, on March 1. The Israel Block Party featured several booths promoting Jewish culture, highlighting the diversity within Israel and breaking down the structure of the Israeli government at the event. Foods from the region were served as well. SJP protested the event because they believed it whitewashes Palestinian culture and its history. The protestors marched past the block party, chanting and circling the open space between the Multidisciplinary Studies building and the Sombrilla, settling at the steps in front of the Roadrunner statue where they continued chanting for over two and a half hours. Joseph Mabry, co-chair of the Israel Block Party, said the purpose of the IBP was to share Jewish culture and to highlight some unknown facts about Israel. 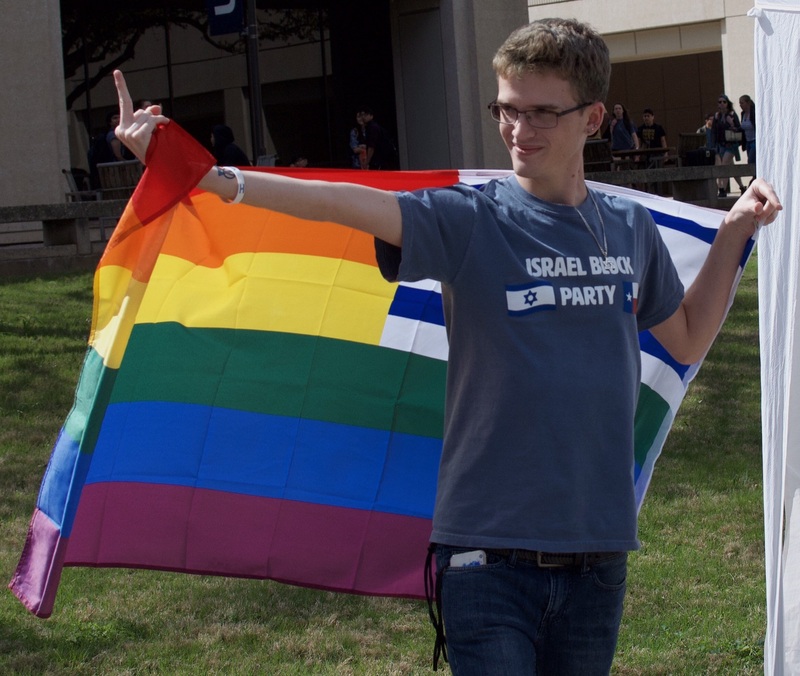 His main goal was to show the LGBTQ presence and ethnic diversity in Israel, along with Israel’s shared political values with the United States. Mabry feels it is important for Israel to exist in order to provide a safe land for the Jewish people to live. “Post-Holocaust, in the era of anti-semitism, it is key we have a safe place to call our home,” Mabry said. The protest was mostly non-confrontational. The protesters did not obstruct any passageways. Campus police officer attempts to block SJP protesters from marching. The group marched to the Roadrunner statue soon after. Many students were happy to see free speech in action, talking to both sides and getting a better understanding of the situation. A student walking past the protest took part in a shouting match. “I just went up to the protesting group,” he said. 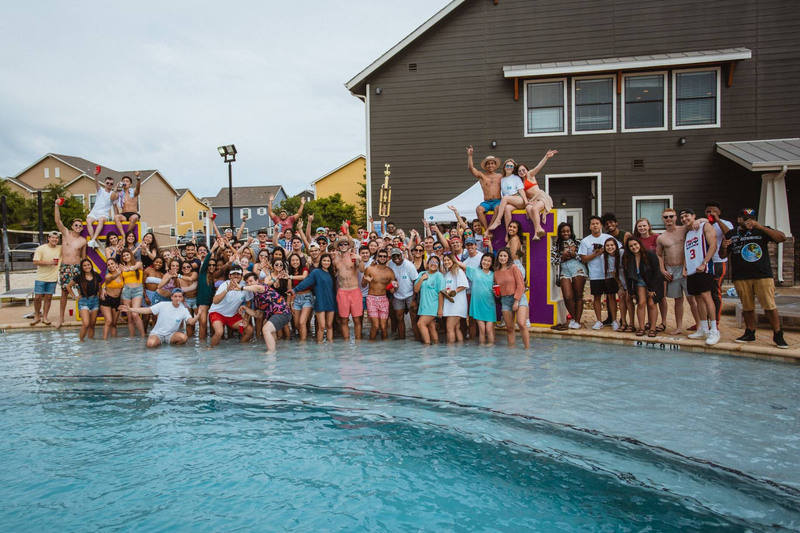 “I was kind of puzzled by why some of them were wearing bandanas and covering their face.” What ensued was a short spat that fizzled out quickly. A member of the protest, Cailey Garcia, freshman public health major, said she wanted to stand in solidarity with the Palestinians. “When I see struggle somewhere else, that’s similar to here, I want to show solidarity,” Garcia said. SJP founder, Moureen Kaki, instructed her group to be non-confrontational and ignore those who wanted to argue. When one of her fellow protesters engaged with a shouting student, she reminded them to not engage. Kaki lived in Palestine for a short time and claimed to have encountered several instances of discrimination during her stay there. Her motivation for protesting the Block Party was her view of the Israel Block Party as a promotion of the Israeli state under the guise of celebrating Jewish culture. “Even though Hillel would like people to believe this event is ‘apolitical,’ nothing about Israel/Palestine is apolitical,” Kaki said. “Their event in particular whitewashes Palestinian history and the ethnic cleansing of Palestine. She wasn’t sure what reception her message would receive at UTSA but felt that young people across the country were moving closer to her position. After a few hours of chanting and occasionally circling the open space, the SJP protesters marched around one last time and left.